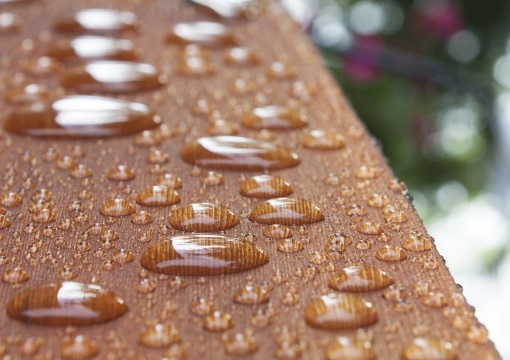 Our fumed metal oxide and aerogel products can improve the storage, application and finished properties of wood coatings that are used for a variety of purposes, including protection, beautification, water resistance and matting. Wood coatings customers typically seek a durable finish with a transparent top-coat to showcase the natural beauty of the wood substrate. Our SpectrAl® fumed alumina can be incorporated into clear topcoats to impart scratch and abrasion resistance to the coating, while maintaining the transparency that end users desire. Fumed alumina has been shown to improve these properties in both acrylic and polyurethane systems. CAB-O-SIL® fumed silica can be incorporated into wood coating systems to improve anti-settling performance during storage, flow-and-leveling performance during application, and mechanical properties upon curing. In addition to fumed metal oxide powders, we also offer a line of fumed metal oxide dispersions. CAB-O-SPERSE® dispersions are ideal for use in waterborne systems, delivering abrasion resistance, improved tack free time and favorable transparency properties, all in an easy-to use liquid delivery system. ENOVA® aerogel, a highly-effective matting additive, outperforms traditional wood coating additives by delivering enhanced functional advantages in difficult to matte coating formulations. ENOVA aerogel is an innovative, fine particle silica-based aerogel, highly treated to create a superhydrophobic material with a high surface area. ENOVA aerogel enhances our customer’s formulation design flexibility by providing excellent gloss control with minimal loading and viscosity build. Its hydrophobic composition also makes ENOVA aerogel an ideal solution for moisture-sensitive systems.